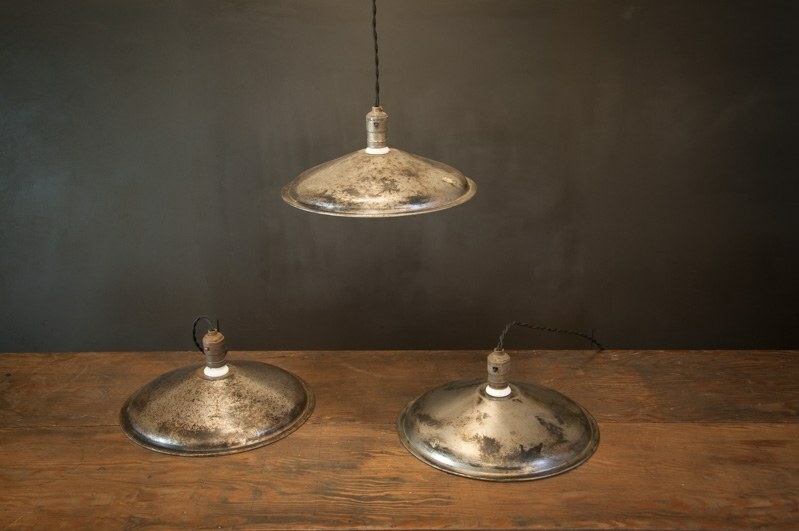 USA, 1940s, Vintage Industrial Old Union Factory Hanging Lights. 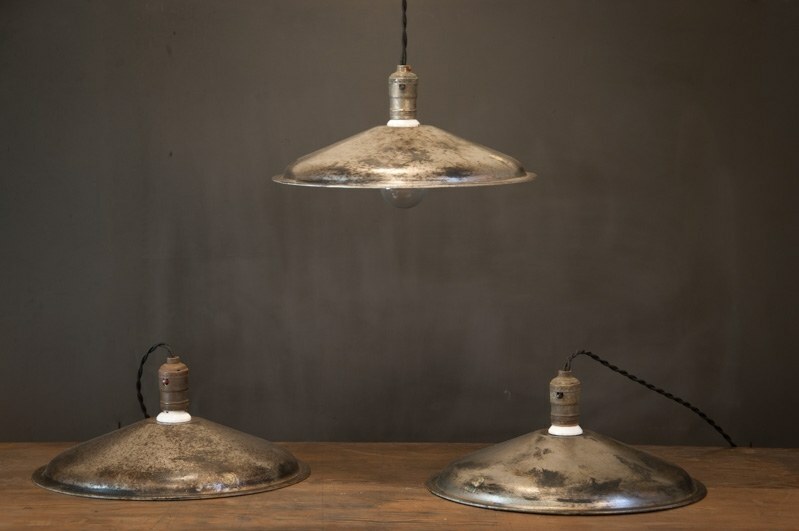 Flat Steel Saucers. Rewired with Black Twisted Cloth Cord. 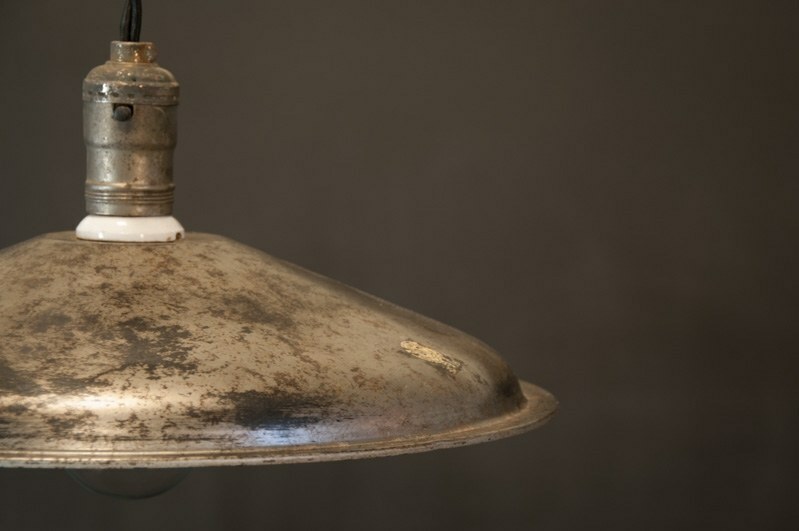 Heavy Time Worn Patina to the Silver Finish. 3 Available.